Pakistan's former captains Moin Khan and Inzamam-ul-Haq have criticised Indian skipper Mahendra Singh Dhoni for arguing with umpire Aleem Dar during the ongoing Test series against England, saying his behaviour was "unacceptable" and the ICC should have taken him to task. Dar was also criticised by former Australian leg-spinner Shane Warne in one of his tweets and described him as a poor umpire for a the bad decision he gave during the series. Dar has reacted to Warne's tweet by telling a Pakistani channel that he was doing his job and Warne was doing his in his new role as a television commentator. Moin said the ICC needs to ensure that a uniform set of rules applied for all Test nations. 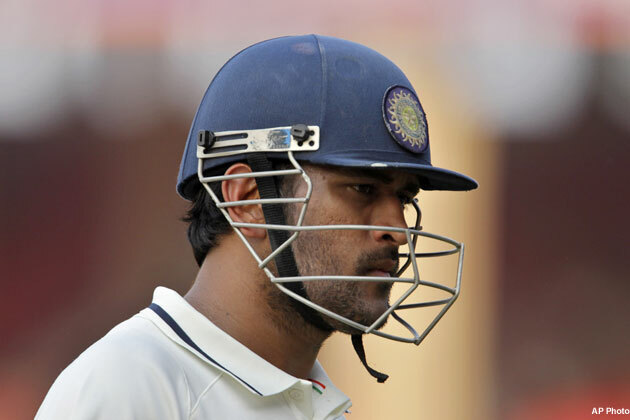 "Dhoni has in the past also argued with umpires and got away with it," he noted. Inzamam advised the Indian captain to stop blaming the umpiring for his team's struggling form in the ongoing series. "I think Dhoni is a very experienced captain and player and he needs to focus on areas where his team is going wrong against England. He needs to speak to his players about their weak points in the series," Inzamam said. The former batsman said that if the ICC had a clear policy on the matter, it must be followed rigorously for all captains. "I myself have been penalised for questioning umpires decisions and here Dhoni did it openly and argued with Dar and yet no punitive action has been taken against him." The former captain credited his teammate and former leg-spinner Mushtaq Ahmad for playing a key role in England's reversal of form in India. "I think Mushie has a big role to play in the way the English spinners have bowled in the Tests and the way the visiting batsmen are tackling the Indian slow bowlers. Mushie has worked for a long time with the English team as their spin consultant and now this move is paying dividends for the England team," he said. Inzamam believed that the present England team had learnt from their drubbing at the hands of Pakistan earlier this year in the United Arab Emirates. "They have improved their skills against the spinners and on these pitches they believe they can win the series."